Like an echoing sound these striking awards will reveberate in the memory long after the presentation ceremony is over. They feature a clear crystal rectangular block set on a bevelled crystal base, with a subtle vertical design repeated on the sides of the award. These lines create the 'echo' effect, as they offer different facets for light to be refracted as light passes through the award. Crafted by the renowned crystal maker CrystalEdge®, each of these echo awards is hand finished to ensure perfection. 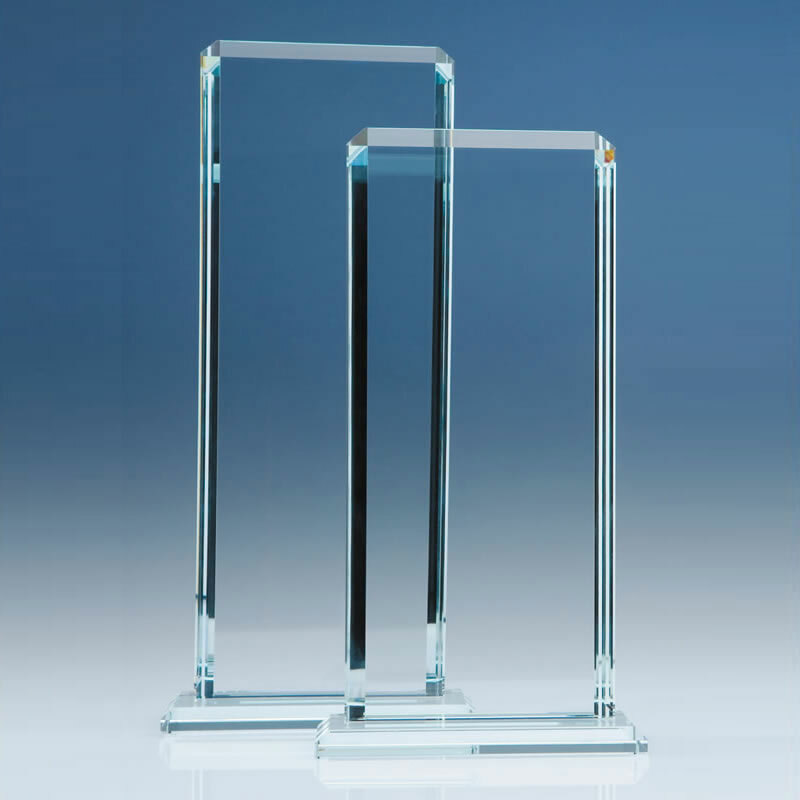 These 11in tall awards can be engraved (laser etched) on the flat front of the award. Each CrystalEdge® award is supplied complete with a blue presentation box.